It isn’t surprising to recognize a lot of similarities between the new RivaBella and other Innovative Dining Group owned restaurants like BOA and Delphine. 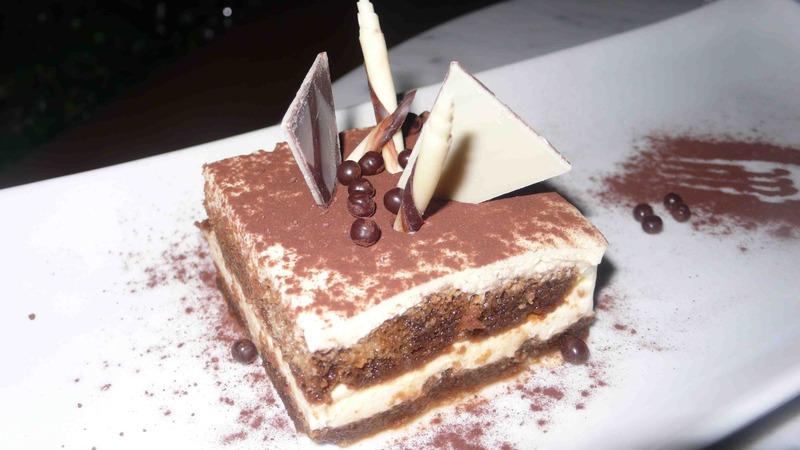 The new Italian inspired eatery is huge (8,000 square feet), attracts a Hollywood crowd of stars and stargazers, is located across the street from BOA on the Sunset Strip and boasts a modern chic design. It’s unique because it highlights Mediterranean fare thanks to co-owner Angelini Osteria chef Gino Angelini. The massive space is broken into several different areas – an interior marble-topped bar/lounge, a large dining centered around a double sided brick fireplace with a retractable roof and a few nice rounded big leather booths amidst tall trees, an outdoor patio and a cozy private room resembling a rustic Italian wine cellar. 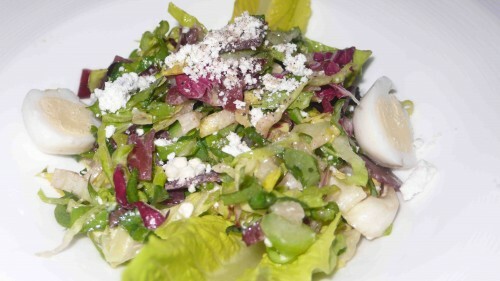 Our salad was a crisp mix of radicchio, polenta croutons, egg and gorgonzola dressing. 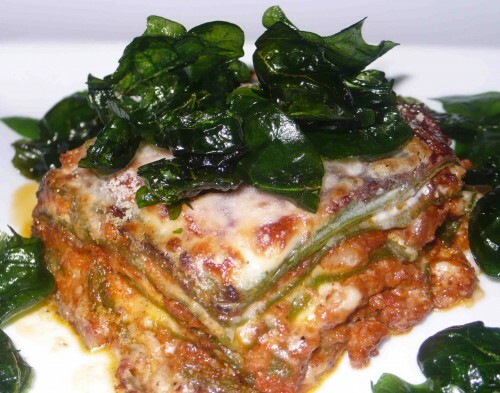 We loved the comforting eggplant parmesan made with light spinach pasta, ricotta and meat sauce. This dish is an appetizer and definitely worth ordering. Our fave of the night was the lasagna Nonna Elvira with layers of spinach pasta, meat sauce and bechamel. 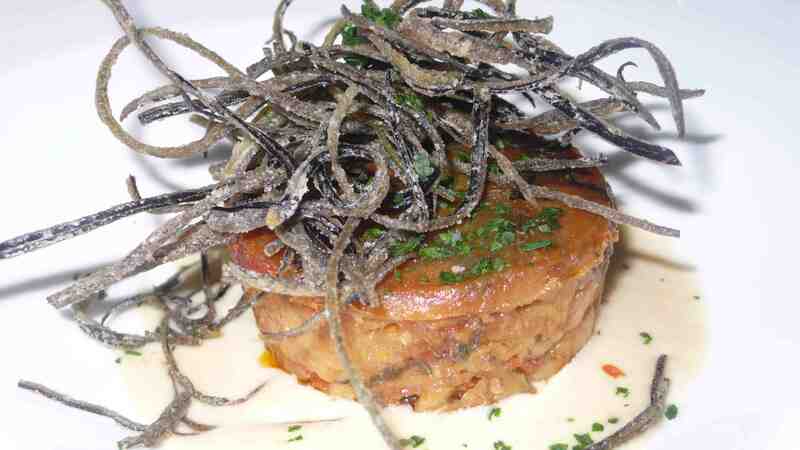 There are other traditional Italian items including the hearty Osso Buco with risotto and gremalata. The menu also features innovative dishes such as the squid ink crab ravioli, linguini with sea urchin sauce, pizza with quail egg and asparagus and saffron tagliatelle with a prosciutto ragu. 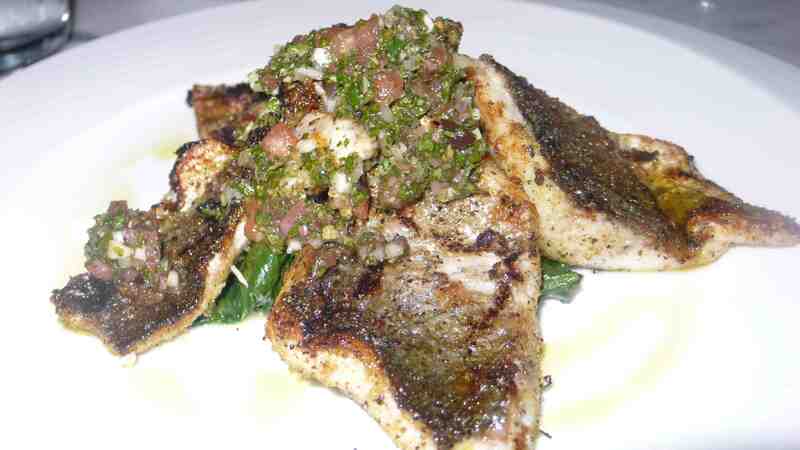 Our other main was the perfectly grilled branzino with sauteed spinach and a Sicilian style sauce. 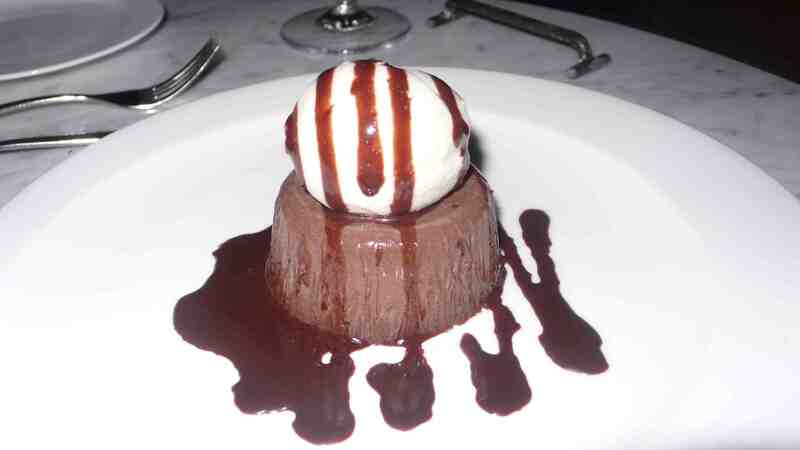 Desserts included a lovely chocolate gelato and a light tiramasu. Dining in such a beautiful ambiance amidst celebrities comes at a price. Most pasta dishes are around $18 with the exception of the spaghetti with truffle and sausage at $44. Head downtown to Bestia and a very similar more rustic pasta, sausage and truffle dish will cost you about half as much. 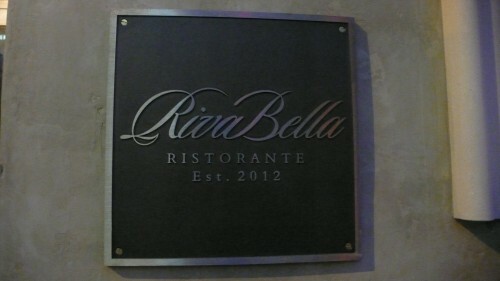 RivaBella boasts the atmosphere and is a perfect spot for a variety of situations. Bring visiting tourists who want to see a trendy new Hollywood restaurant complete with celebrities diners (we saw Halle Berry), impress a first date with the romantic atmosphere and expensive bill, or just come to enjoy the traditional Italian standout comfort food by the fireplace. 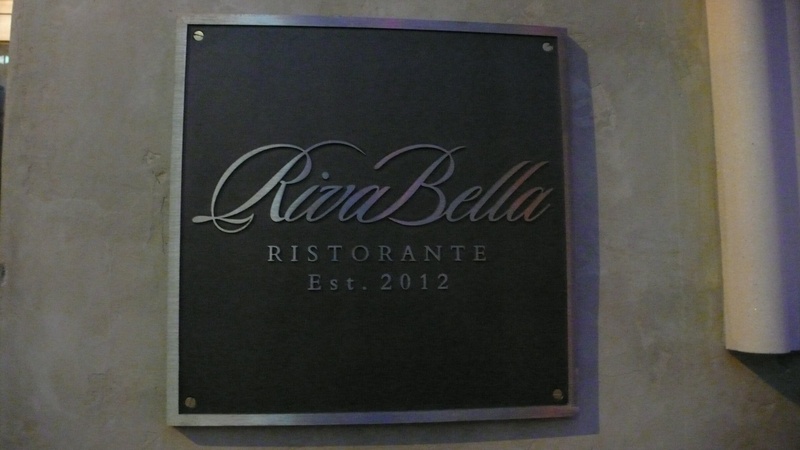 Reservations required 310/278-2060, located at 9201 Sunset Boulevard.